We provide 100% selection of parts for the indicated qualitative or quantitative characteristics in accordance with ISO 9001:2008. 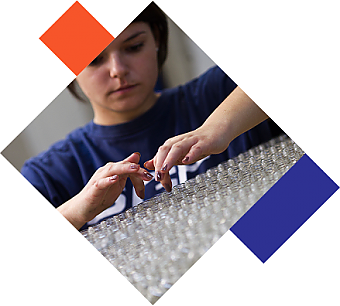 Selection typically involves separating and securing faulty batches, so that defects are not introduced into the production line, or are not delivered to recipients. Performance of such services is always based on the instructions or specifications provided by the Customer. The selection can be carried out at the Customer’s site, at supplier’s site, in our warehouse or at other individually specified location.